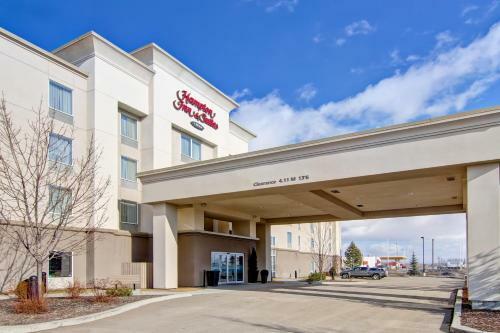 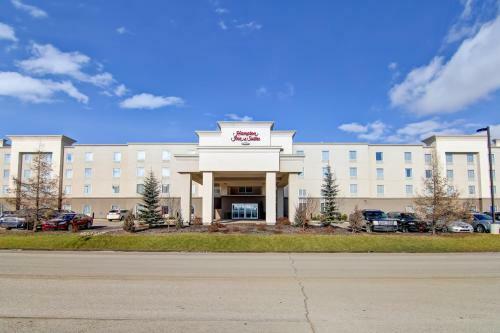 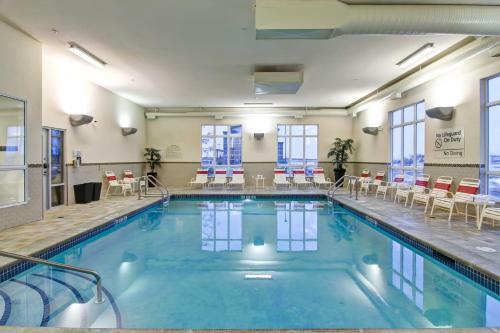 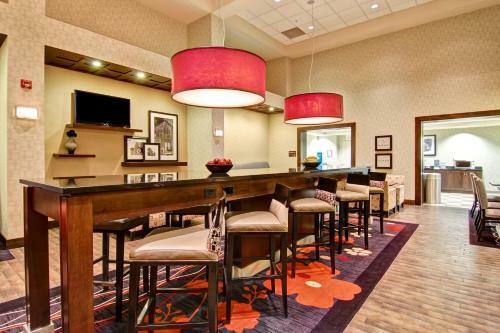 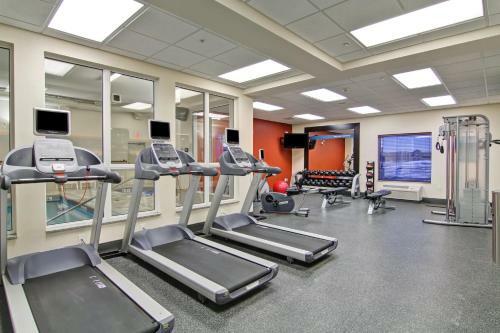 Located off of Highway 2 and 10 minutes from the center of Red Deer, Alberta, this hotel features an indoor pool, on-site gym, and flat-screen TVs in guest rooms. 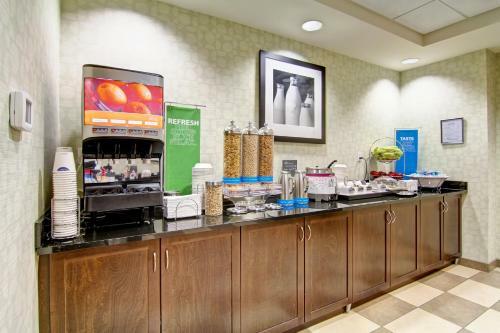 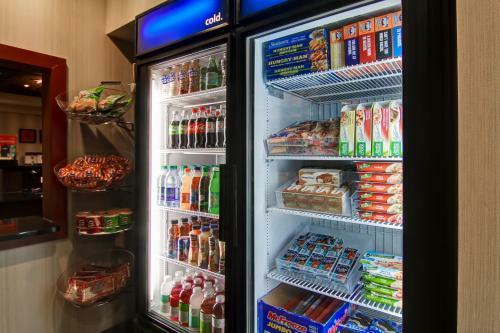 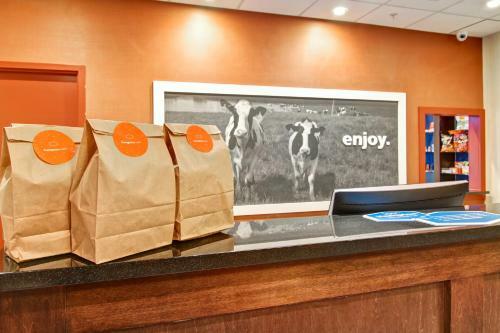 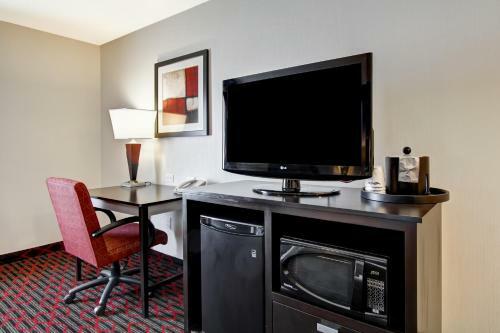 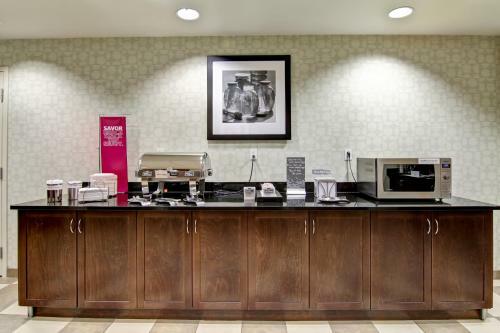 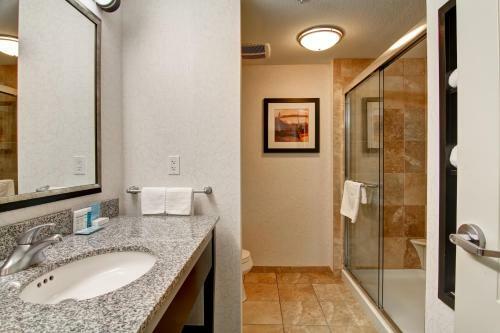 The accommodations at the Red Deer Hampton Inn are furnished with a microwave, refrigerator, and coffee maker. 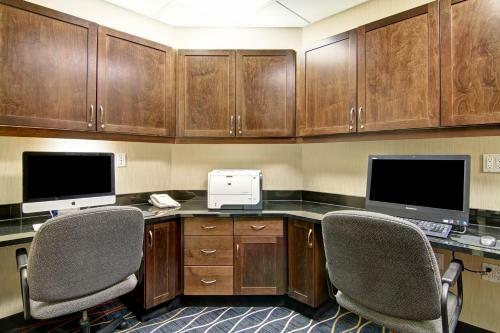 An iPod docking station and free Wi-Fi are also included. 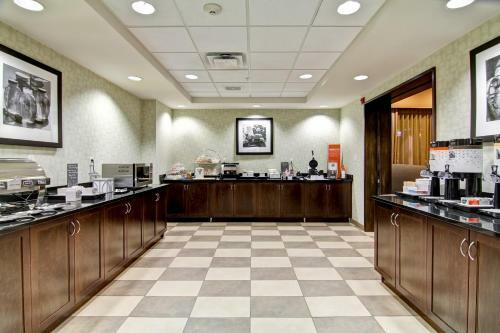 A continental breakfast is served every morning at this Red Deer hotel. 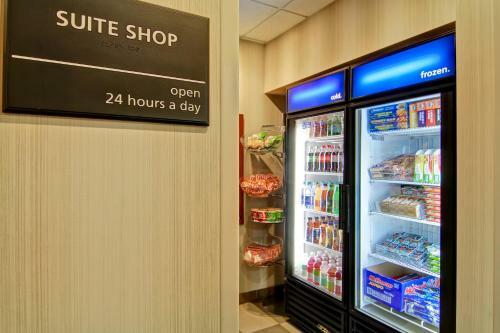 The front desk is open 24 hours a day and laundry facilities are available. 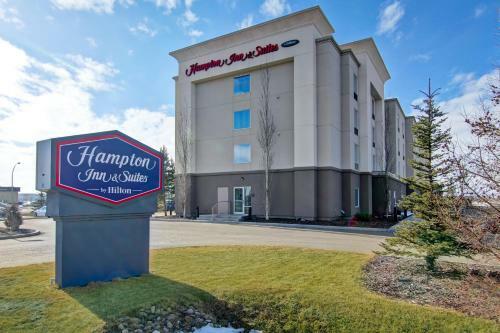 The Alberta Springs Golf Resort is 15 minutes from Hampton Inn and Suites Red Deer. 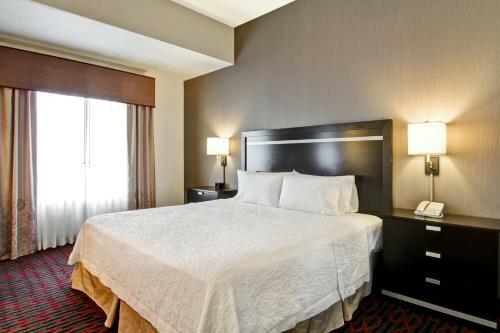 Westerner Park is also just 4.5 km away from the hotel. 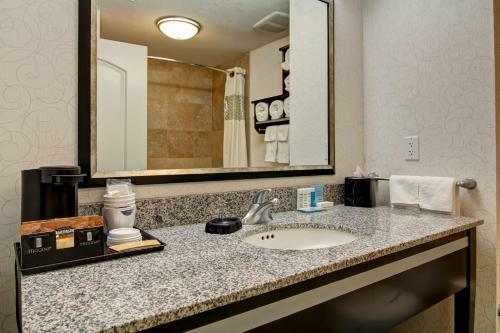 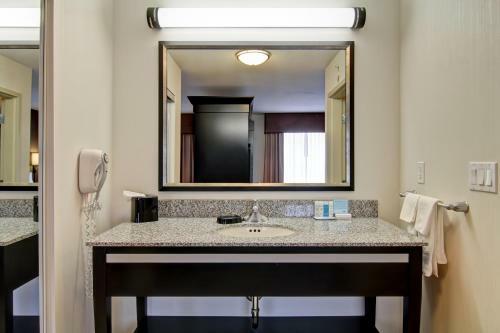 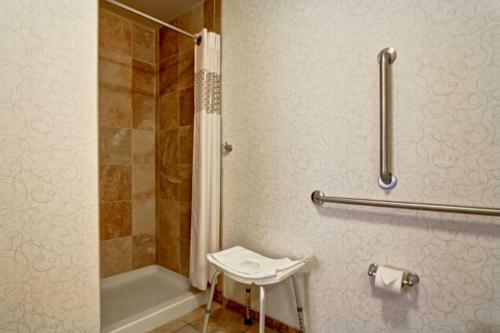 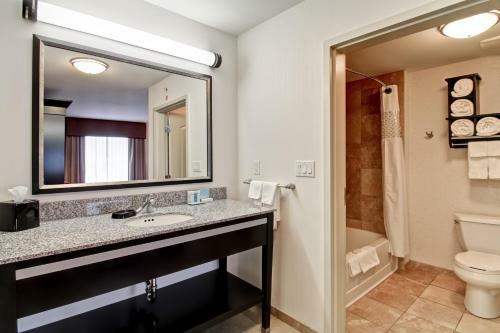 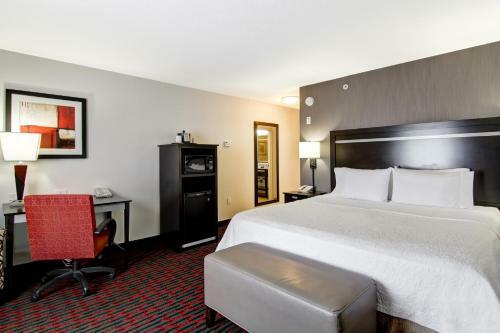 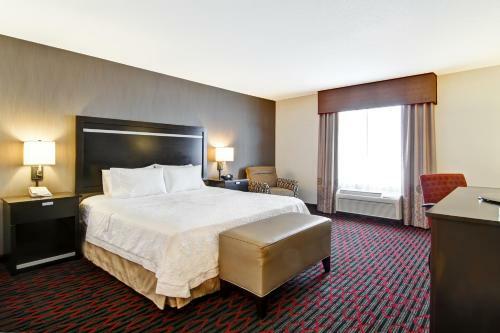 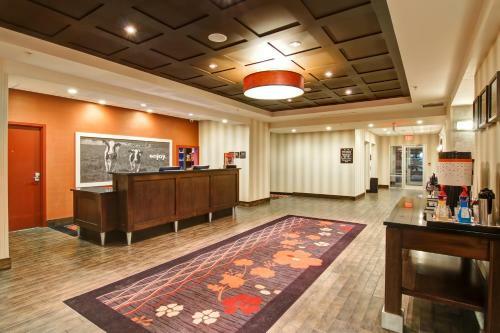 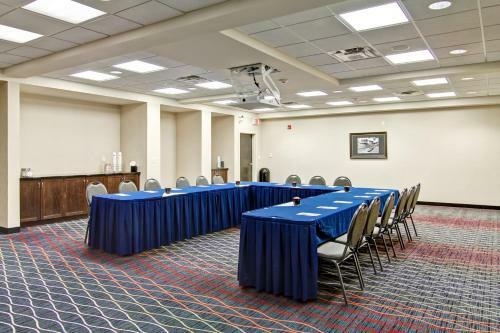 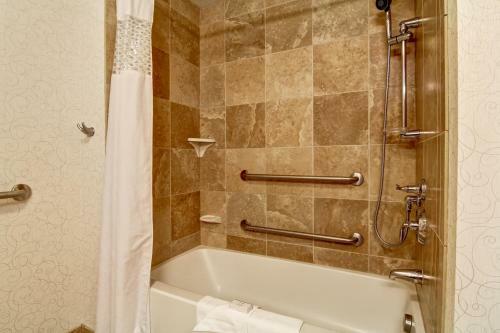 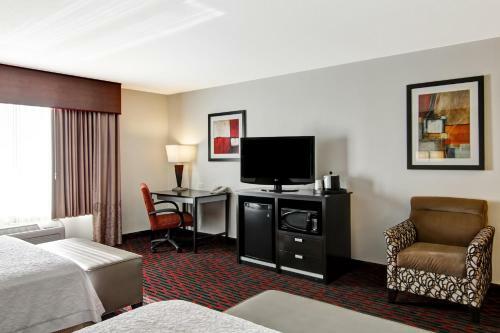 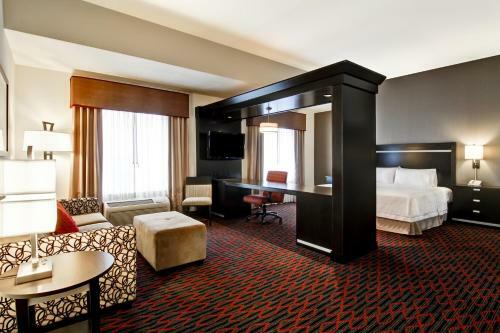 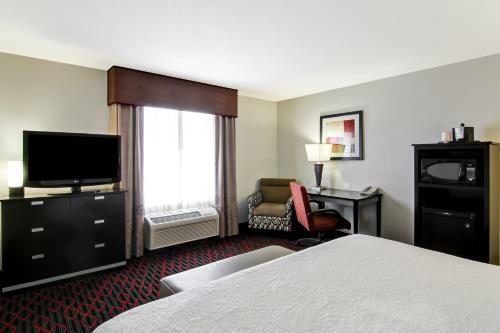 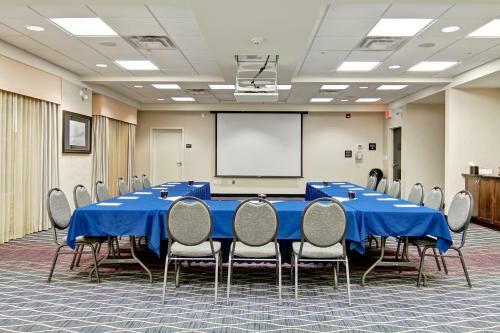 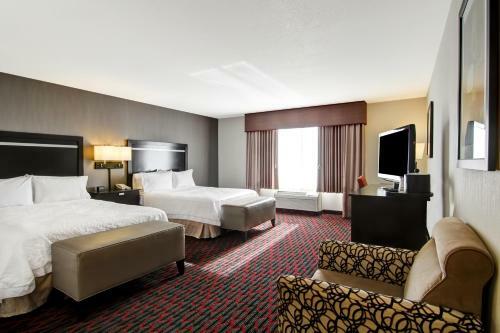 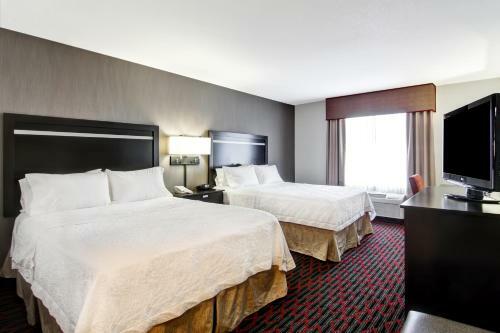 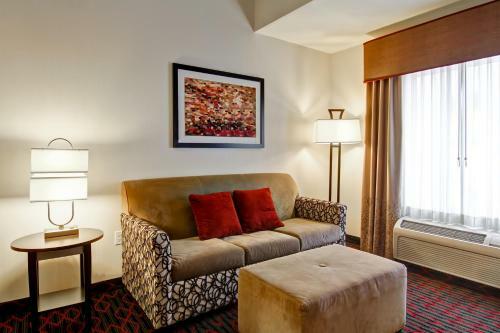 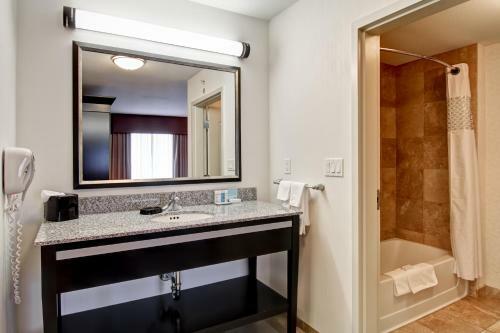 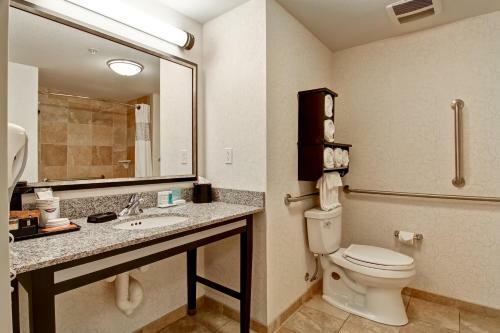 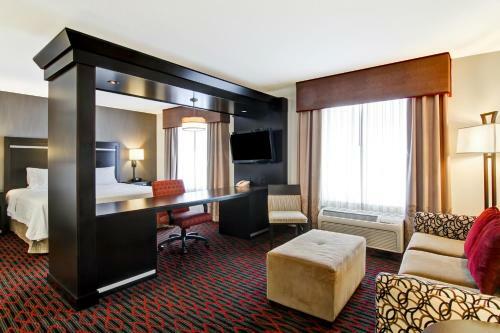 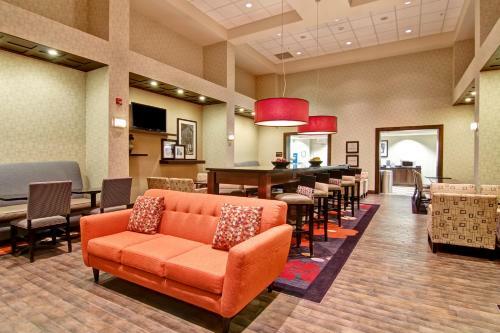 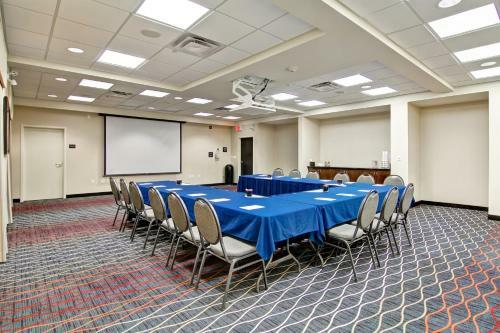 the hotel Hampton Inn & Suites Red Deer so we can give you detailed rates for the rooms in the desired period.